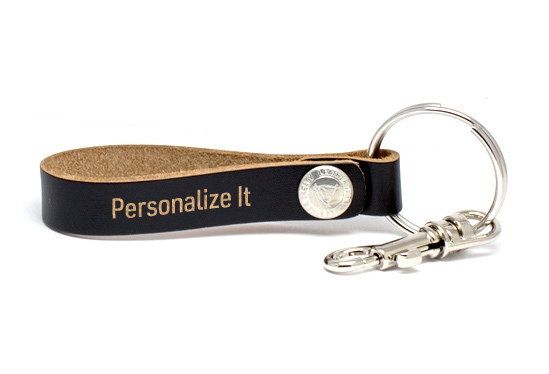 Customize your own name keychain for whomever that special person is in your life, or for yourself! 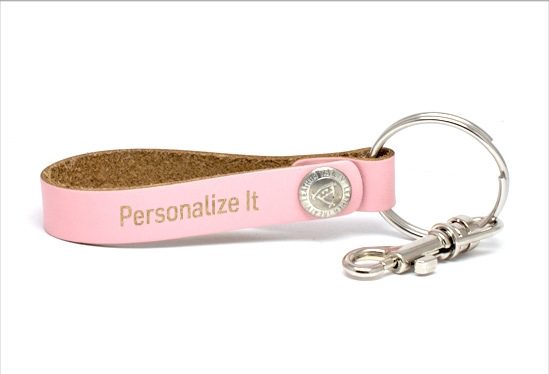 Whether it be a first name, last name, nickname, initials or more, personalize it your way. 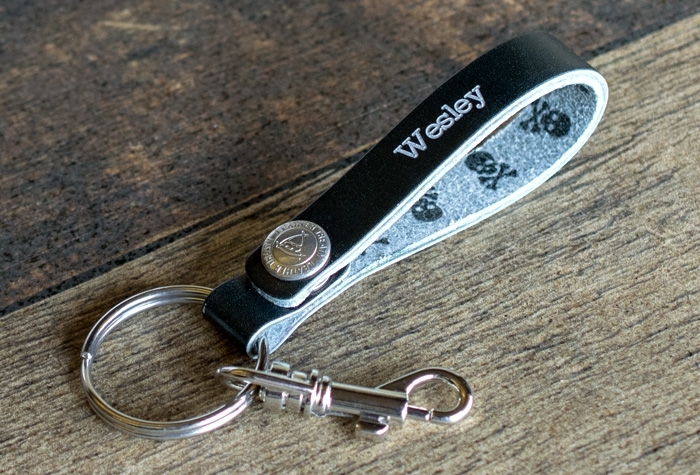 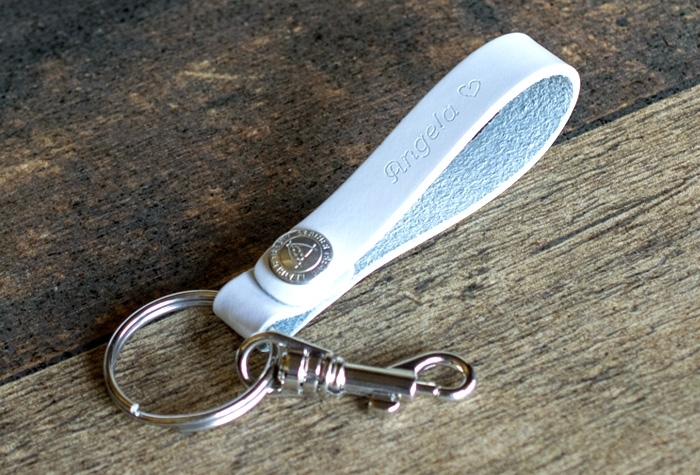 All of our name keychains are crafted from high quality genuine leather, perfect for all ages of men and women. 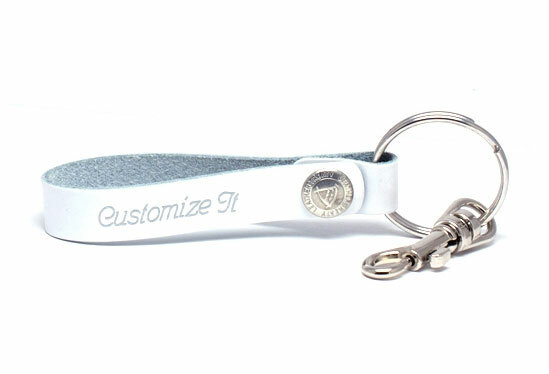 Use our step-by-step keychain creator to make your very own name keychain. 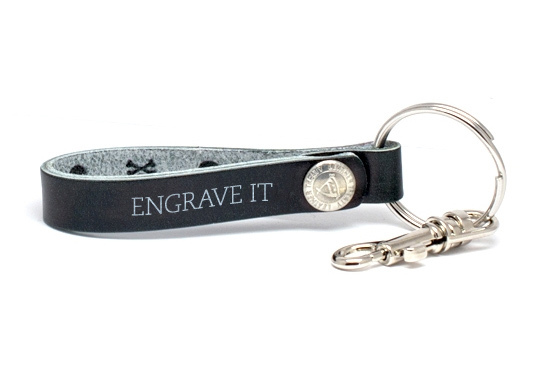 Engraved on genuine leather. Choose your style, color and then personalize it with your choice of free engraving!